Anytime little kids are practicing for any sport, things should be kept fun while also teaching the kids how to play the game. This certainly applies to [tag]basketball[/tag] and 1st graders playing it. Practice for 1st graders should be filled with drills that teach and allow the kids to enjoy what they’re doing. 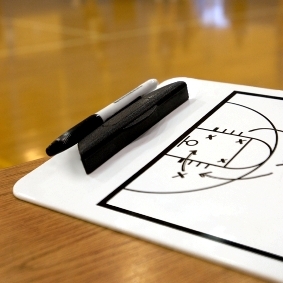 Hot Potato is one of the best 1st grade basketball drills that can be used in practice. Another great drill for 1st graders is Dribble Races. 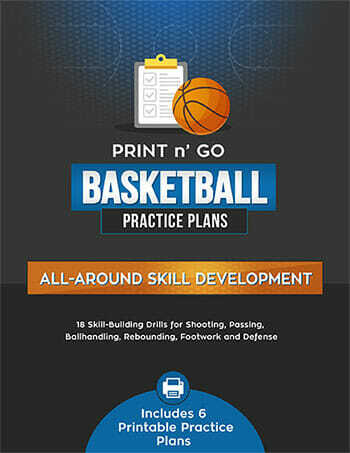 Recommended: check out our complete collection of basketball drills for kids age 6-10. Most kids are very familiar with the game of Hot Potato. Kids throw a ball back and forth and they can’t hold onto it very long – they have to throw it back as soon as possible. The kids pretend that the ball is a hot potato. 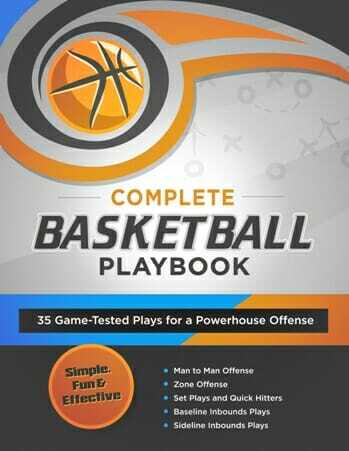 Hot Potato is one of the best 1st grade basketball drills because it can teach all the different passes to a young player. Before this basketball drill is used, the player has to be shown how to properly throw a chest pass, a bounce pass, a baseball pass, and an overhead pass. A [tag]chest pass[/tag] is done with two hands holding onto the ball. The ball is held at chest level and thrown straight toward the target from the chest. A bounce pass starts at chest level but then drops as the passer’s arms move forward. The pass should bounce about midway between the passer and the player who is receiving the pass. A baseball pass is thrown with one hand. The throw is similar in mechanics to throwing a baseball. An overhead pass is thrown with two hands and the pass is thrown from directly above the head. 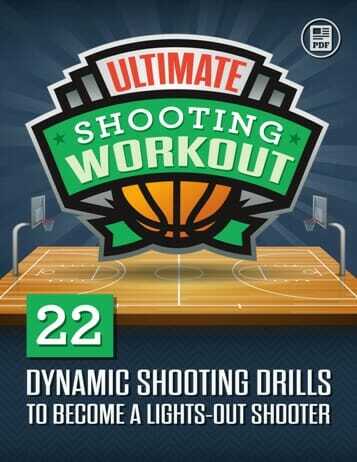 Once all the players know how to throw the different types of passes, the Hot Potato drill can begin. During this drill each player should have a partner. Players should stand about fifteen feet away from their partner. Whatever type of pass the coach calls out, the players must throw that pass until the coach changes to another type of pass. The players may need to be reminded that the ball is hot and should be caught and thrown as quickly as possible. However, the passer needs to make sure the throw is right to the receiver and the receiver must make sure to catch the ball out in front of his/her body with two hands. The second of the great 1st grade basketball drills requires players to race each other while dribbling a ball. Most players will only be able to [tag]dribble[/tag] with their dominant hand, but if the players are advanced the races can be run using the off hand or switching between hands. This drill will help a player with dribbling and running at the same time. 1st graders are young but they can still begin to play the game of basketball. Practices for kids this young should be fun and educational. Two 1st grade basketball drills that are both fun and educational are Hot Potato and the Dribble Races.